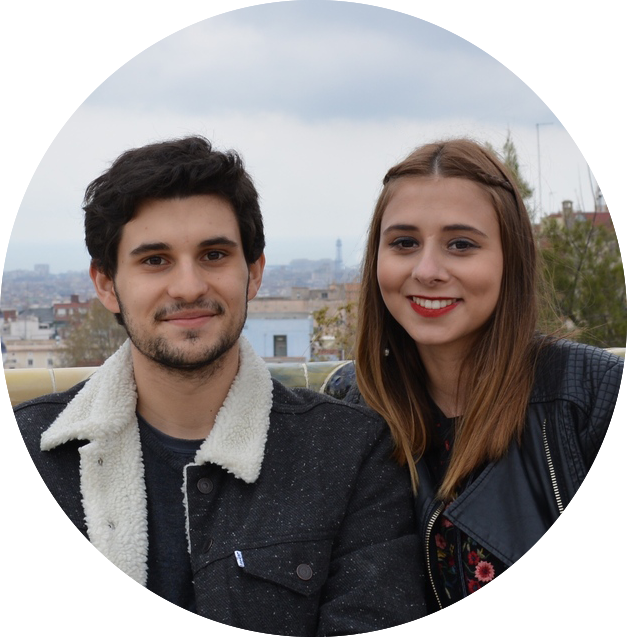 We started this series with our love for Warsaw, wrote about exploring more of Poland, and now our last Erasmus related post is all about the places we got to explore in Central and Eastern Europe! 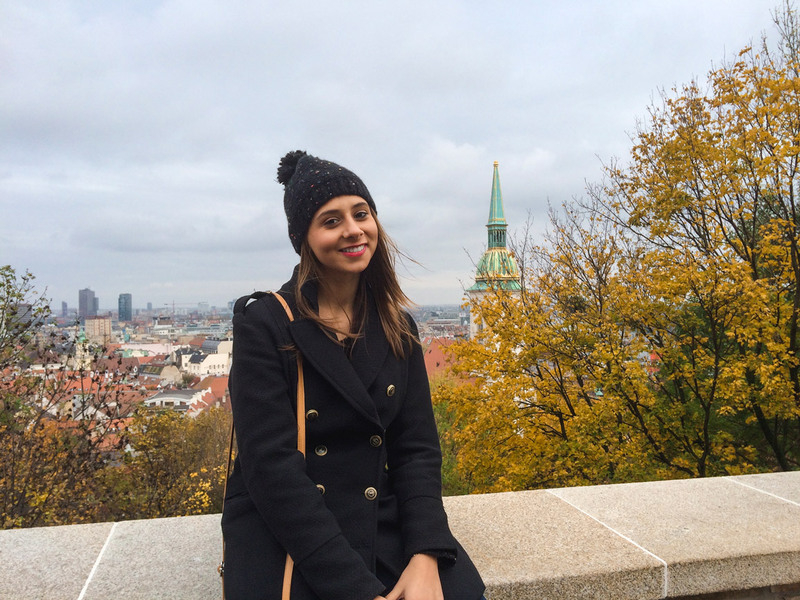 Having lived in Portugal all our lives, moving to Poland was mindblowing in terms of traveling possibilities. You see, Portugal only borders with Spain, whereas Poland has borders with seven (!) different countries. We had our savings ready to be spent and this travel journal ready to be filled with plans and adventures. Once again, this post wouldn’t be complete without a warm hug to all the amazing people who traveled with us and were kind enough to take us in their homes. Thank you for enriching our trips and for helping our savings last a little longer. 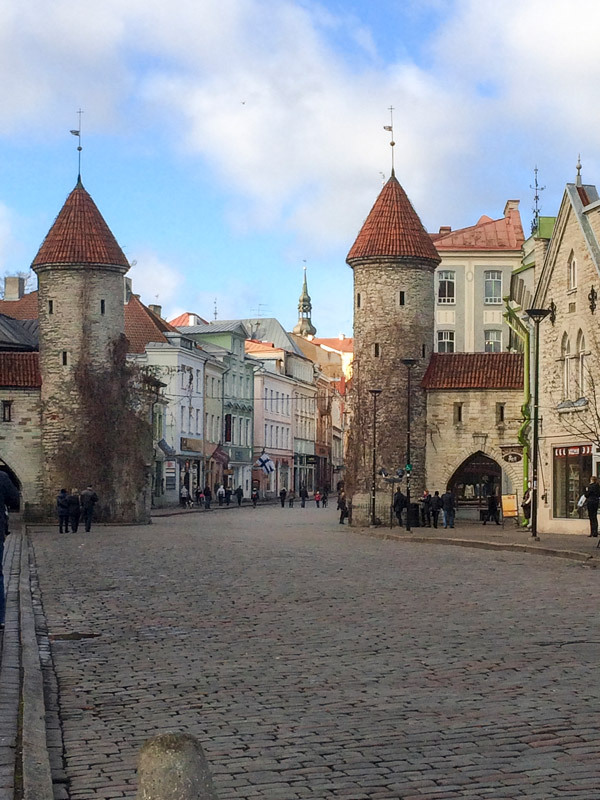 We flew all the way to Tallinn with AirBaltic and returned to Warsaw using Lux Express’s coach services, stopping in Riga and Vilnius for a night each. 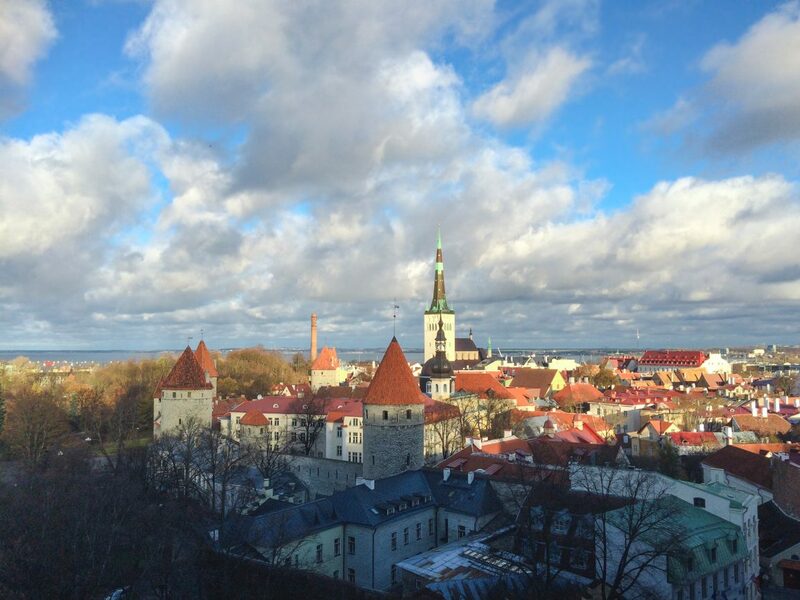 Tallinn’s Old Town is the image of a fairytale due to its medieval streetscape and peacefulness. 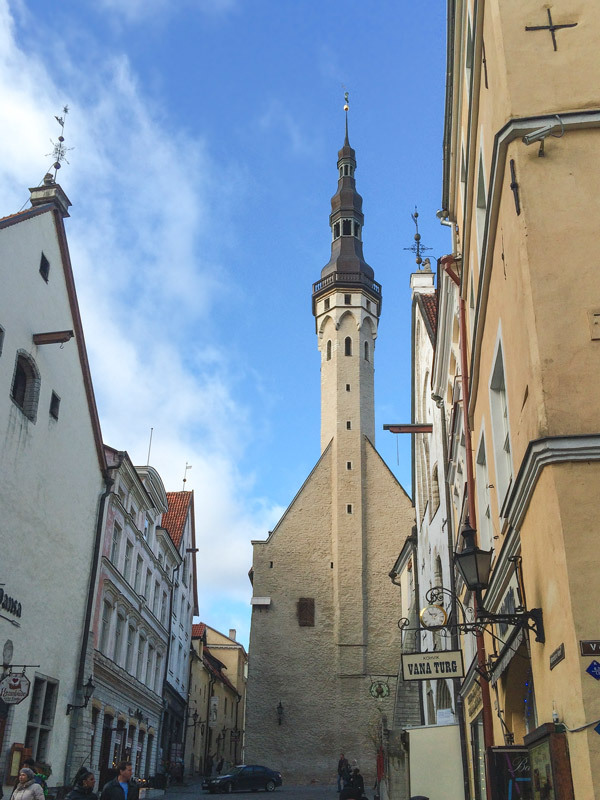 Tallinn is somehow a bustling and quiet capital all at the same time, and that was something we thoroughly enjoyed. Be ready to look up a lot, as you won’t be able to look away from the pretty houses and Disney-like towers. 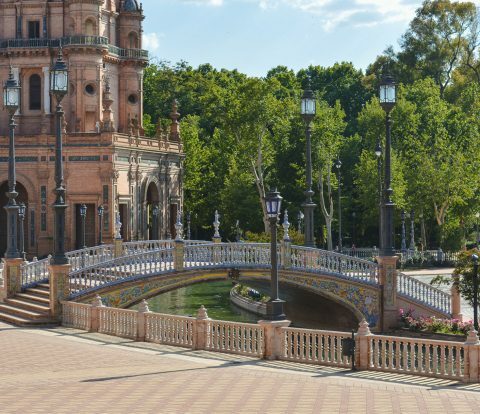 As we were spending very little time in the city, we did not hesitate to do a Free Walking Tour, to be acquainted with the main sites and some history. We also got a great lunch recommendation from the tour guide: Kompressor! We spent more time than we should indulging on huge portions of pancakes, and ended up wasting the afternoon daylight (blink and you’ll miss it too!). No daylight eventually meant catching the wrong tram and ending up visiting the Kadriog Park during the night – not our brightest idea. Where we stayed: Old Town Munkenhof, great location and nice staff! Riga received us with grey skies and pouring rain, not exactly the best weather for exploring the city. Still, we were determined to make the best of the 24 hours we had there, but it seemed not to collaborate. 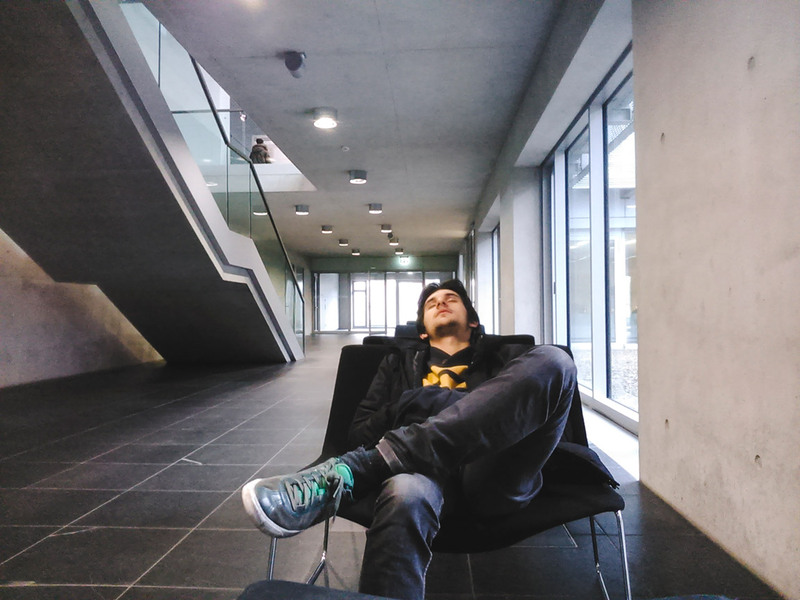 Our hostel was absolutely terrible and tainted our experience in the city. There’s nothing worse than feeling unsafe, uncomfortable and scammed by fake Booking reviews. We still tried to make the best of our time. The Riga Central Market was our favorite part of the city and a must visit if you’re in town. 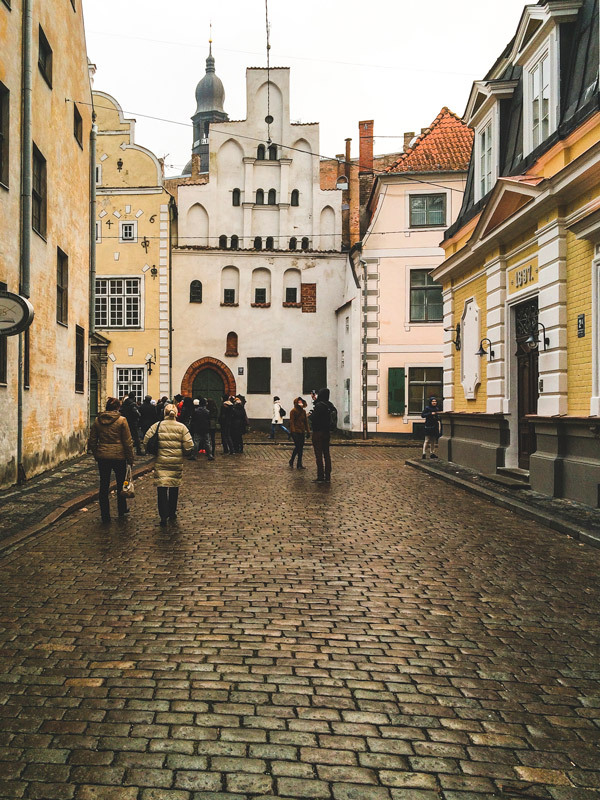 Not only is it filled with delicious Latvian delicacies, it is an amazing structure from an architectural point of view. Speaking Writing of architecture, keep your eyes wide open while exploring, because the city is filled with art nouveau gems. We visited the Museum of Occupation of Latvia, and found the exhibition quite enlightening regarding the country’s history. Entrance fee to the the museum is up to you, as its dependent on voluntary donations. Where we stayed: Cheapy Hostel, which is thankfully no longer bookable! 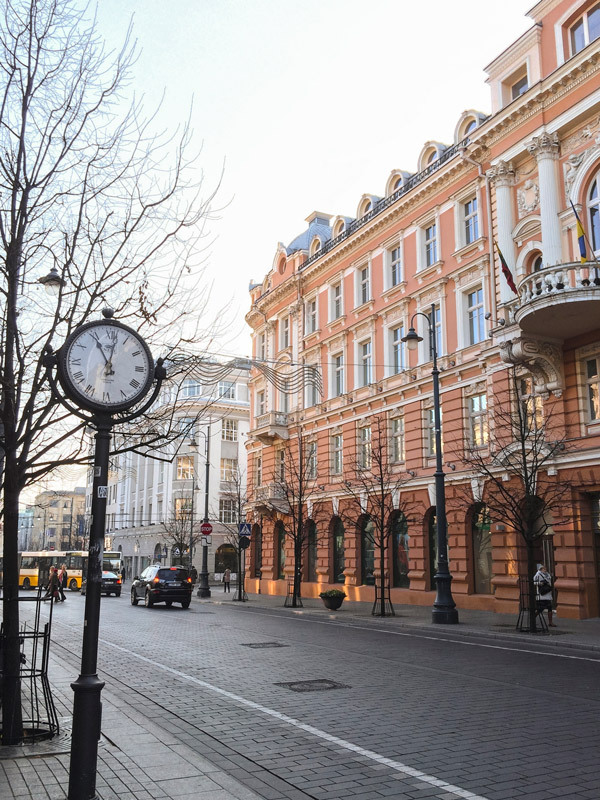 Vilnius was the biggest surprise of this trip! The city is rather small (taking into account its capital status) but packed with things to do. No, you don’t have to visit all of the cities’ 28 churches, but be sure to visit St. Anne’s Church and the city’s Cathedral. 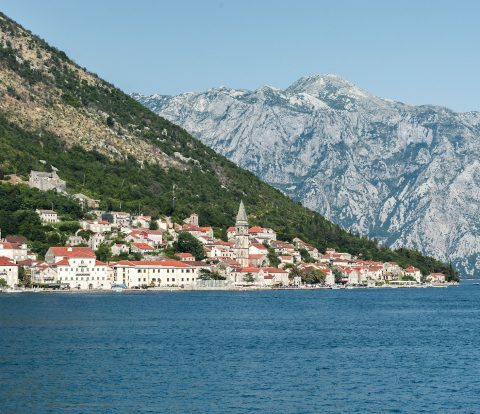 Scroll around the beautiful Old Town, but find some time to visit the self-proclaimed Republic of Užupis. This district, which has its own Constitution, is filled with art and artists and it is one of the most unique places we’ve ever encountered while traveling. 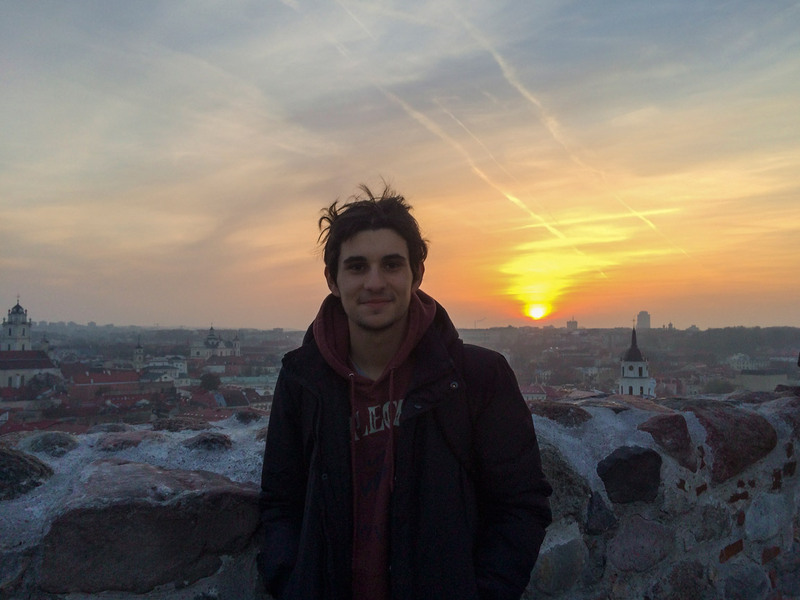 We ended our day on the top of the Gediminas Tower, taking in a beautiful sunset over the city. If you have a bit more time, there’s also an epic view to be seen from the Three Crosses monument. 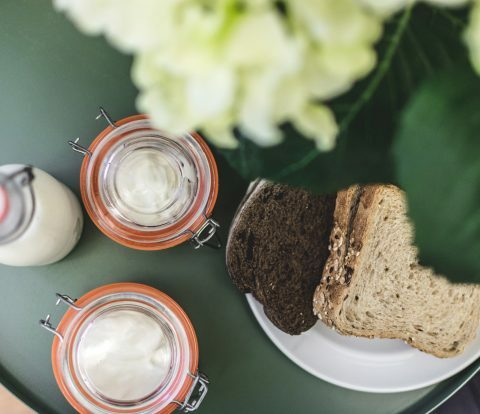 If you’re looking for yummy pancakes (there are many in the Baltics) be sure to visit one of the three Gusto Blyninė restaurants spread across the city. There are so many options, we’re sure you’ll find something to love. Vilnius was a bit of a reminder of our ignorance and of how many cool and beautiful places we are unaware of. Traveling is always about learning how little you know. Where we stayed: Hostel Jamaika, good location, cool vibe and creative furniture! After a 12-hour Polski Bus ride from Warsaw, we finally found ourselves in the capital of Slovakia. We had done a few long bus trips before, but never one this long, especially in the daylight. We won’t lie, it was tough, but not as tough as we had feared! What ended up being more difficult was actually getting from the bus station to our hostel! This was a time when EU roaming was still very much not free and we had to rely solely on bad Google Maps printscreens. If it was today, we would’ve probably just gotten an Uber, but we were more adventurous and thrifty back then. After a good night of sleep we were ready to explore Bratislava. 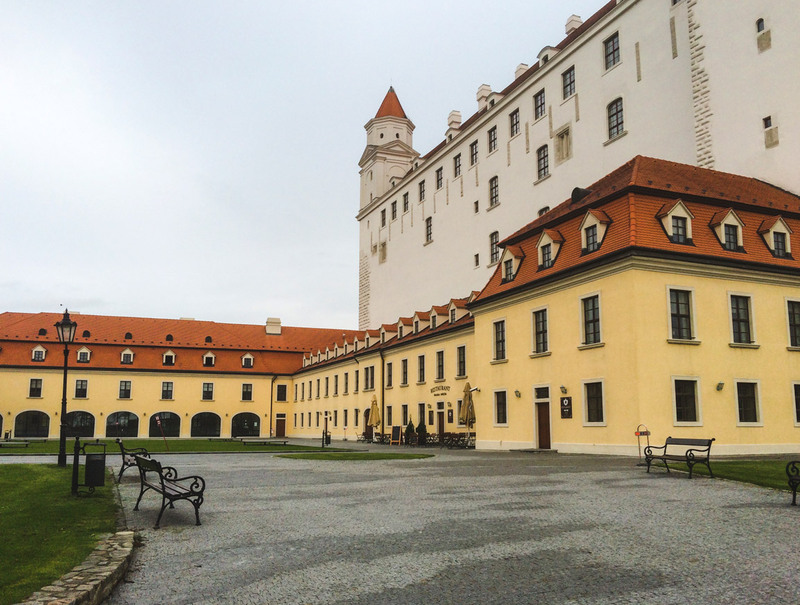 We started with Grassalkovich Palace and moved along toward the Old Town and then up to the city’s best known attraction, the castle. 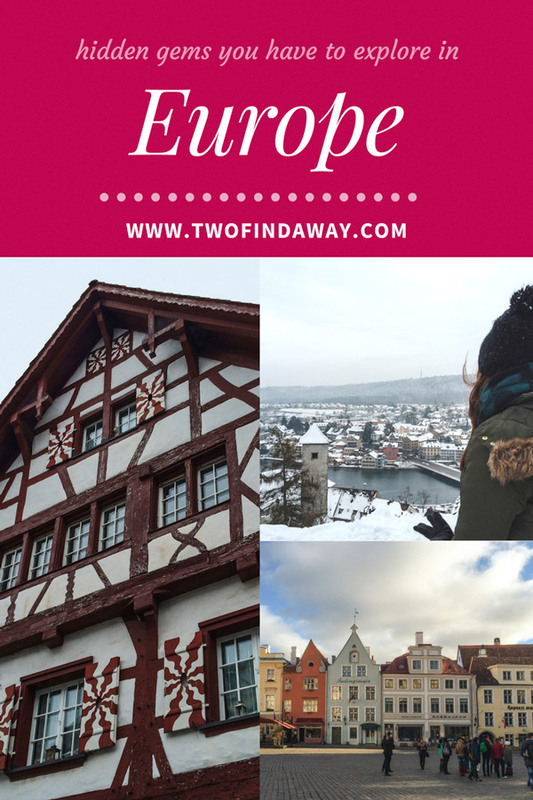 Europe is filled with castles but you’ll be surprised to see how different they are, there really is a lot of variety. Also, can someone enlighten us on the difference between palaces and castles? We are getting a bit off topic, but please let us know! 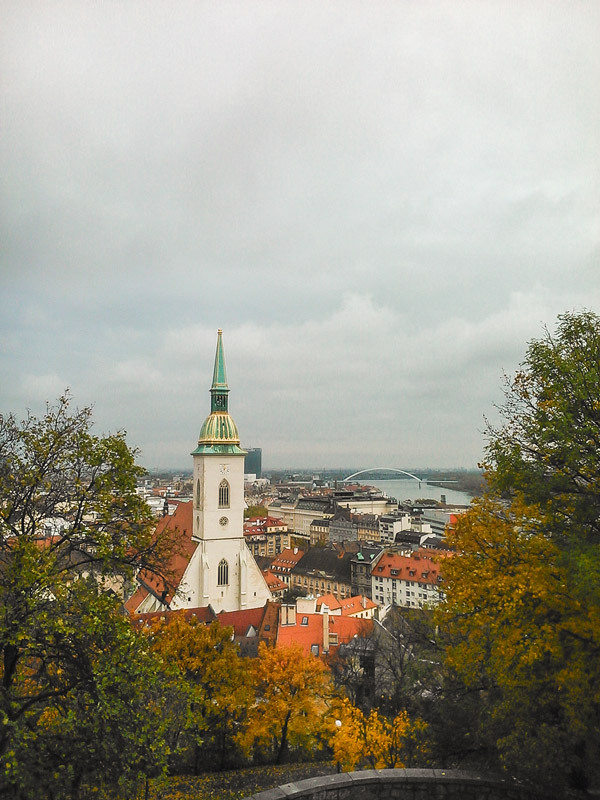 Bratislava’s Castle is beautiful, but for us the best part really is the view you get from the hill. 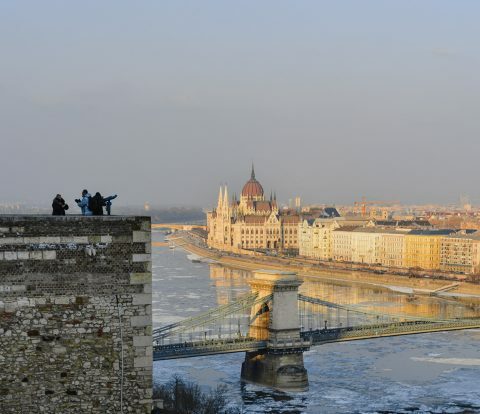 On a good day you may even get views to neighboring countries, but on a grey day we still got to see the Danube river and the beautiful St. Martin’s Cathedral. In the afternoon we once again embarked on a Free Walking Tour, which ended at the beautiful Blue Church. Bonus tip: the UFO observation deck! We didn’t have the opportunity to go but are itching to go back just to climb to this unique viewpoint. Where we stayed: Hostel Freddie Next to Mercury, we got an apartment for a great price, decorated with a rather inspiring Game of Thrones poster (Ned Stark for King… or not!). 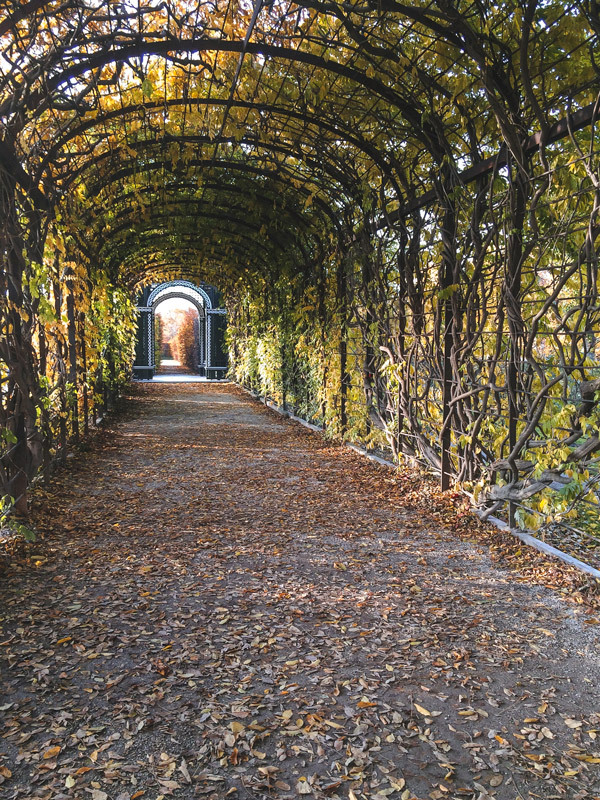 Vienna is Europe’s quintessential royal city, filled with imperial palaces that make your jaw drop. 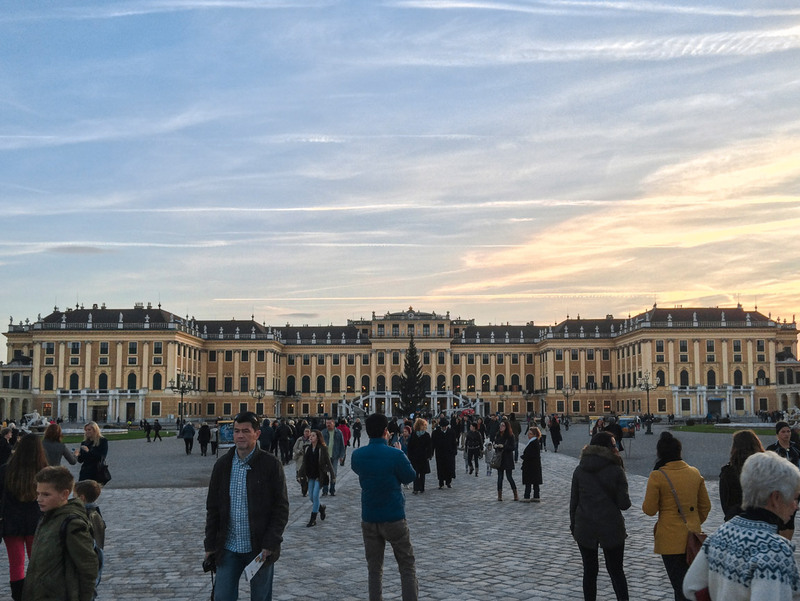 Our favorite was the Schönbrunn Palace and its beautiful gardens, but we also loved visiting the Belvedere, a magnificent Baroque palace turned museum. However, there are many less classical attractions in the city as well. If you love neon lights, or just want to reenact a scene from Before Sunrise, some time at the Prater is mandatory. For other colorful attractions, don’t miss the Hundertwasser House, one of the many architectural highlights of the country. We also found a lot of color at the Naschmarkt! We love visiting markets, and in this one you can actually sit down for a meal after marvelling at all the food and spices in the stands. If you look around, you can actually find some budget-friendly options (rare in the city), but we must say we weren’t too impressed with the food we chose. As you may know by now, we love a viewpoint, and we always try to see cities from above (that’s why we have Sparky now!). If you do too, a visit to St. Stephen’s Cathedral is a must, as from the top you can enjoy a breathtaking panorama of the city. Where we stayed: Suite Hotel 900 m zur Oper, the furnishings aren’t what you’d call modern, but the price was great for Austrian standards and the location was perfect. 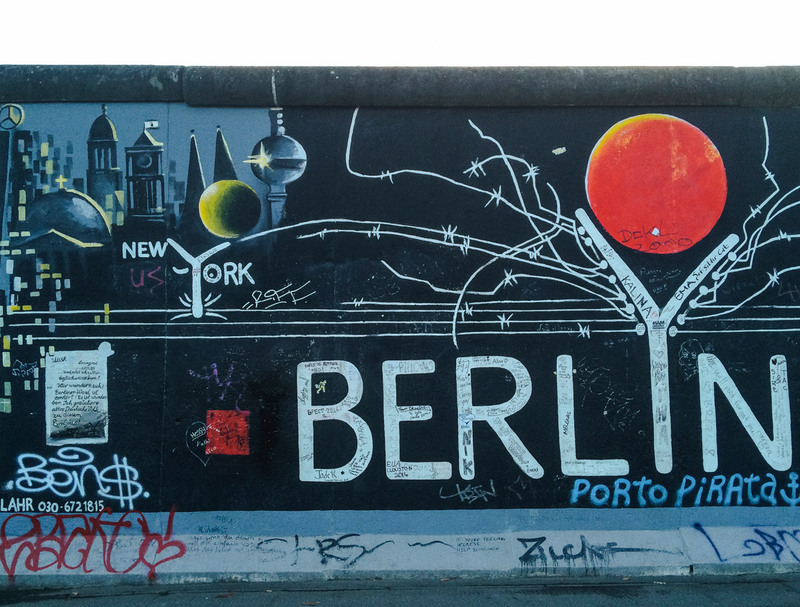 In the words of David Bowie, Berlin is “the greatest cultural extravaganza that one could imagine”. 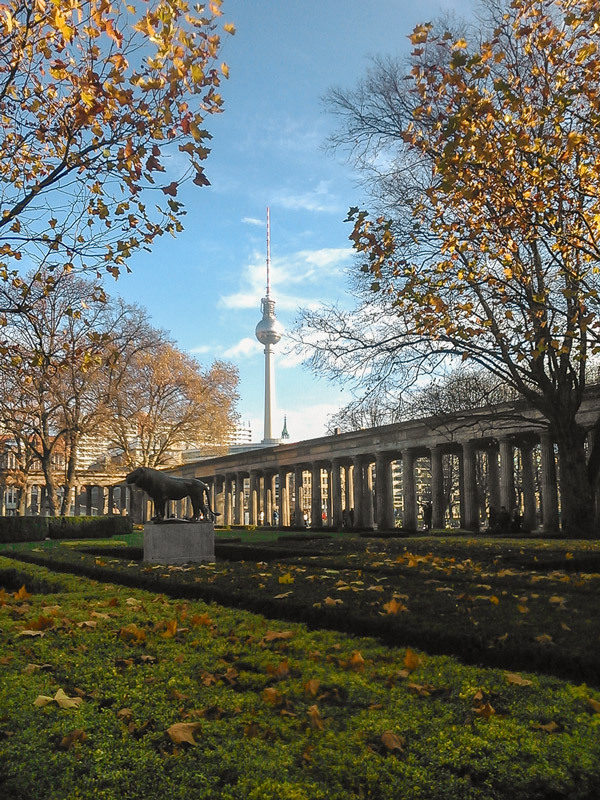 There is so much to do and see in Berlin that it is very hard to make up your mind and your itinerary on what you want to see. The good news is that in Berlin there really is something for everybody. 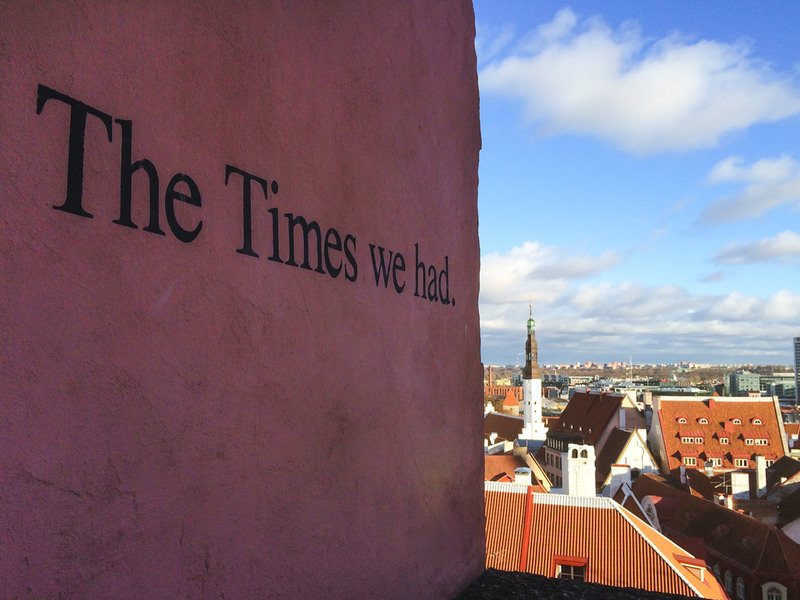 Whether you like history, music, dance, sports, food,… viewpoints! 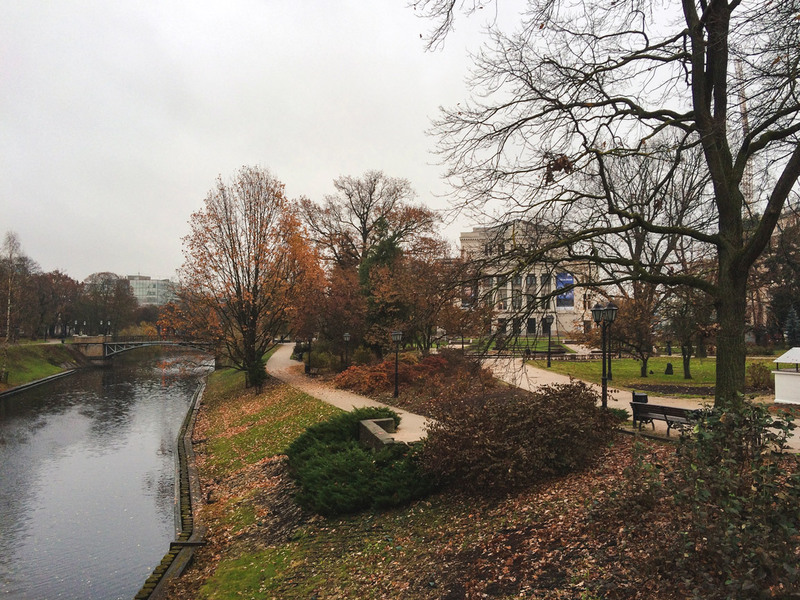 There really is something waiting for you in Germany’s capital! We tried to cram in a bit of everything in the couple of days we had. So much so that we even had to include a bit of “sleeping in museums” to the itinerary. From the royal heritage of the Charlottenburg Palace, to the nature in Tiergarten, appreciating the art and history still present in the remains of the Berlin Wall, we even managed to include a basketball game at the Mercedez-Benz Arena (Let’s go Alba!). 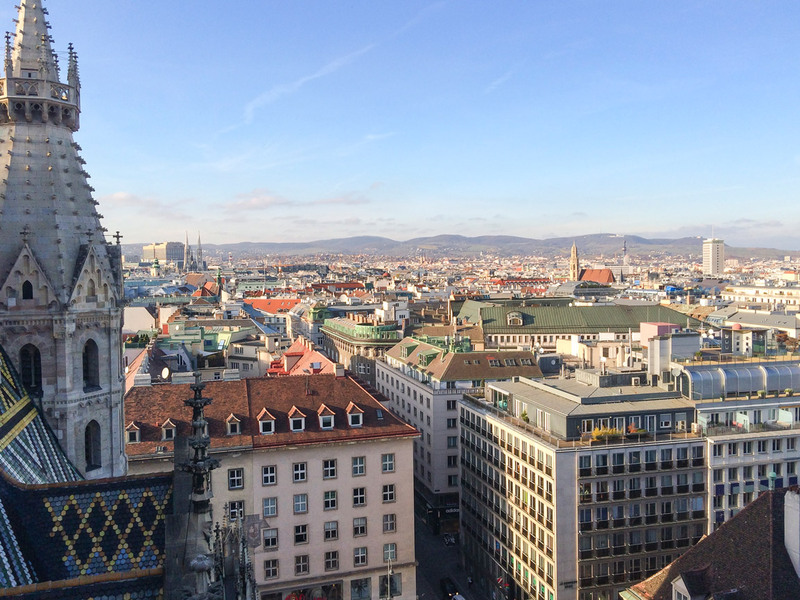 We climbed to the viewing platform of the French Church at the Gendarmenmarkt, and got our energy back in the form of loads of chocolate from the Ritter Sport ChocoWorld. Yes, Berlin is also the perfect destination for chocolate lovers. 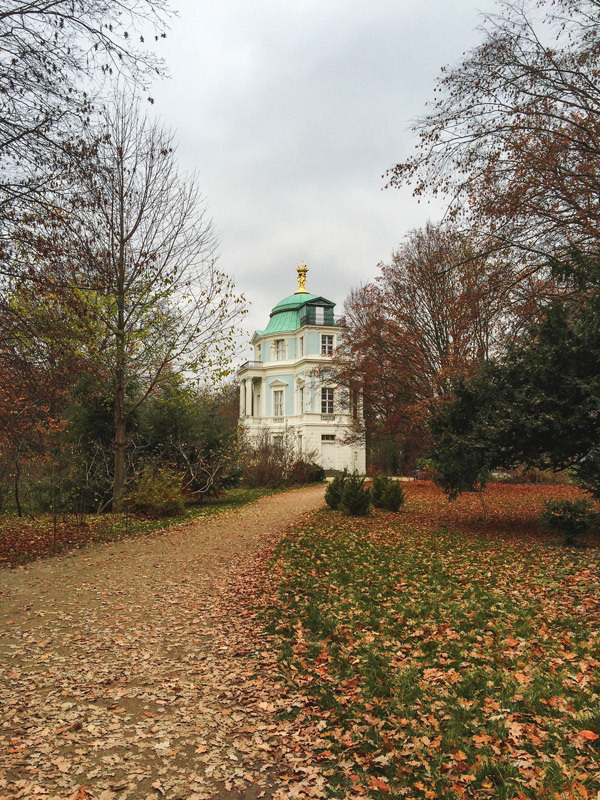 We adored our time in Berlin and are hoping to go back soon (we always want to go back!) and to explore even more. The first time we visit a city we always try to see the main sites, and so we did. But we are eagerly waiting for our second visit to dig a bit deeper into the city’s culture and daily life! Where we stayed: Happy go Lucky Hotel + Hostel, also known as the first time we were upgraded (from a room with a shared bathroom to a private ensuite) – something you hardly forget (or are we the only ones?). Super comfortable, with great common areas and right next to public transportation. Out of all the city’s we have visited, Prague is the one that most reminds us of Lisbon. Countless viewpoints, beautiful sunsets over the red-roofs and many many tourists. 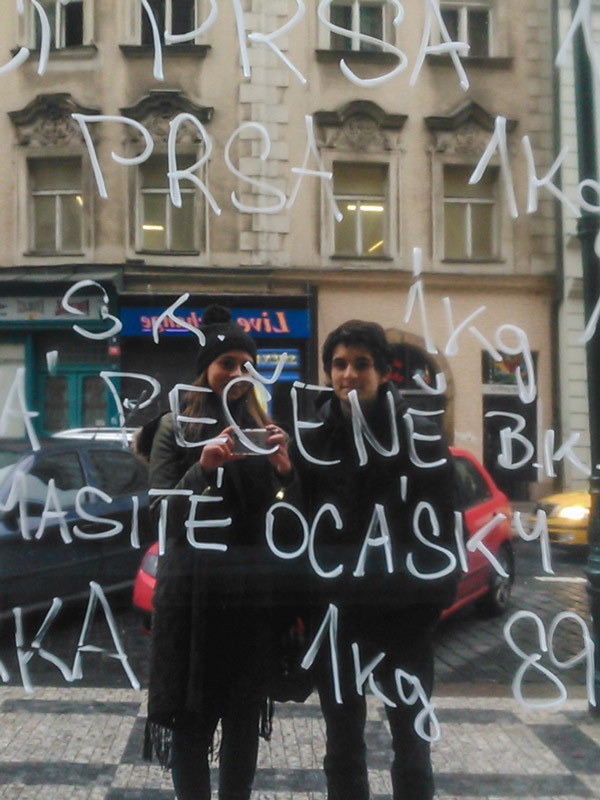 We loved Prague, but felt a bit lost on what to explore besides the main touristic places. Despite our best efforts, we somehow always ended up in the middle of the Charles Bridge trying to dodge the many people who ended up there as well. 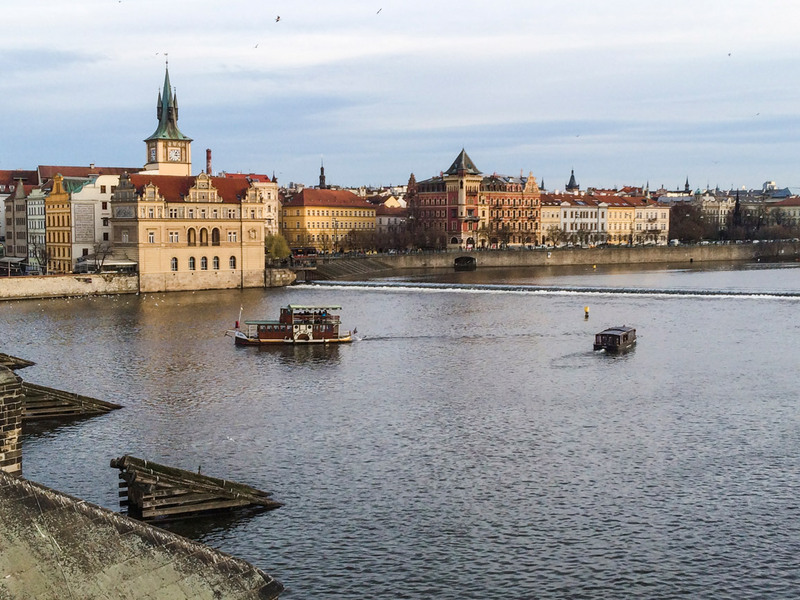 Don’t get us wrong, the Charles Bridge is a beautiful sight regardless of the amount of people there, but next time we really hope to explore more. 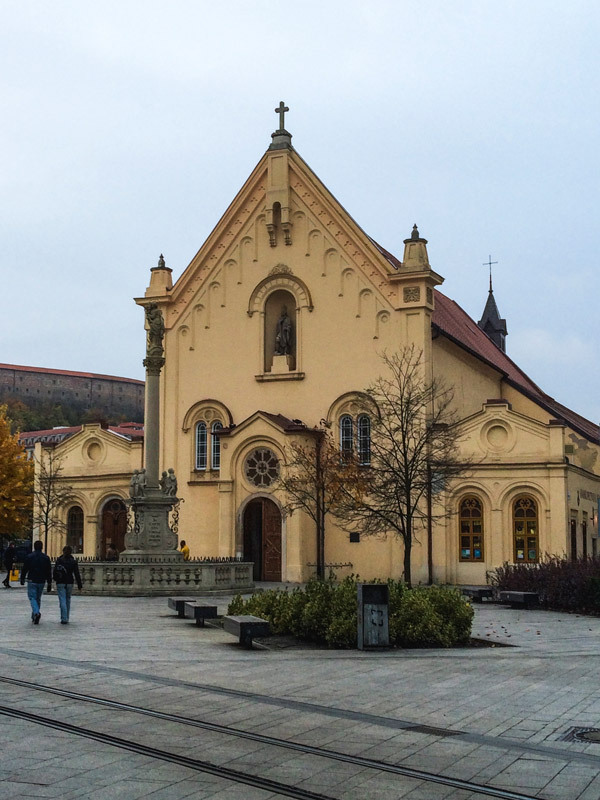 We did all the classics: the Castle, the beautiful Old Town Square (which at the time was filled with a charming Christmas market), the John Lennon Wall, the Jewish Quarter,… We also visited Petřín, one of the cities largest green spaces. Here, we used the funicular to go up and then enjoyed an even higher view of the city from the Tower. 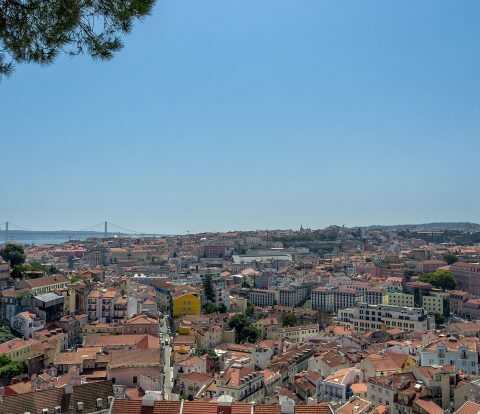 Though the city is indeed filled with different viewpoints, this was the only one we found from which you could marvel at all of the cities main monuments. 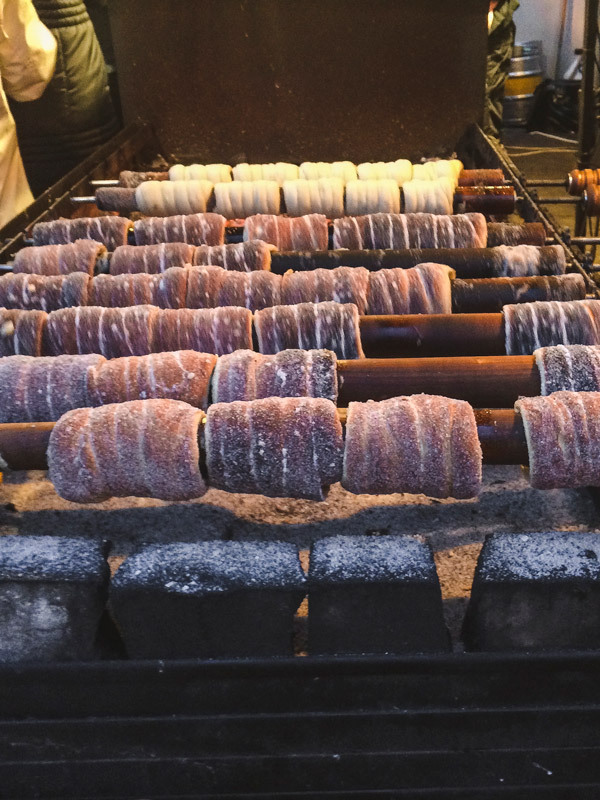 Last but not least, the highlight of the city: Trdelník, one of the most delicious cakes you’ll ever eat. Sprinkled with sugar and cinnamon, baked over a beautiful fire, there’s a lot of magic that goes into creating this delicious dessert. Do your best to taste at least one if you find yourself in Prague or in an area nearby (though be warned, it’s hard to stop after the first). We celebrated Christmas in Portugal with our family and planned a detour roadtrip before returning to Warsaw. We love roadtrips! They are extra special when you get to share them with people you don’t get to spend much time with. There were a lot of unplanned situations during this trip (from snowstorms to unfinished kitchens and the flu). Still, we couldn’t have asked for a better way to end 2014. 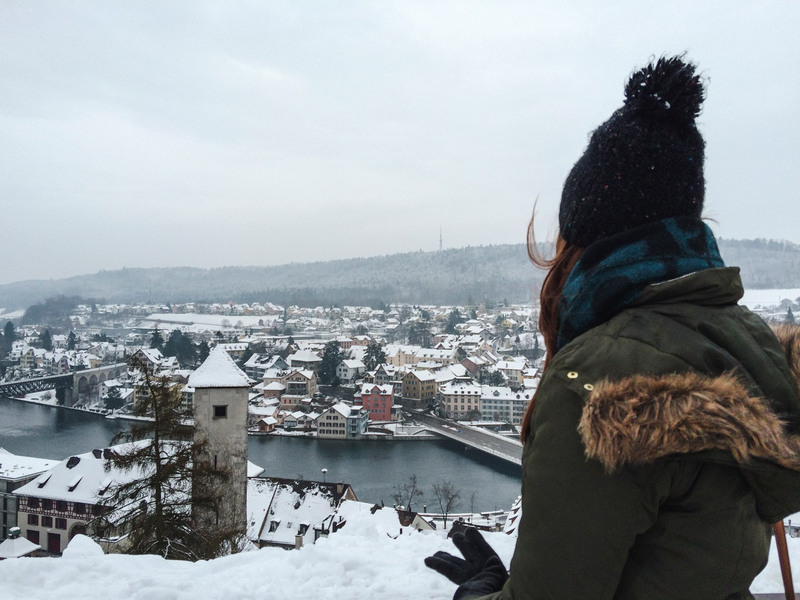 We started in snow-covered Augsburg, in Germany, and made our way to Switzerland (with the car full of cheaper groceries), where we started the new year. 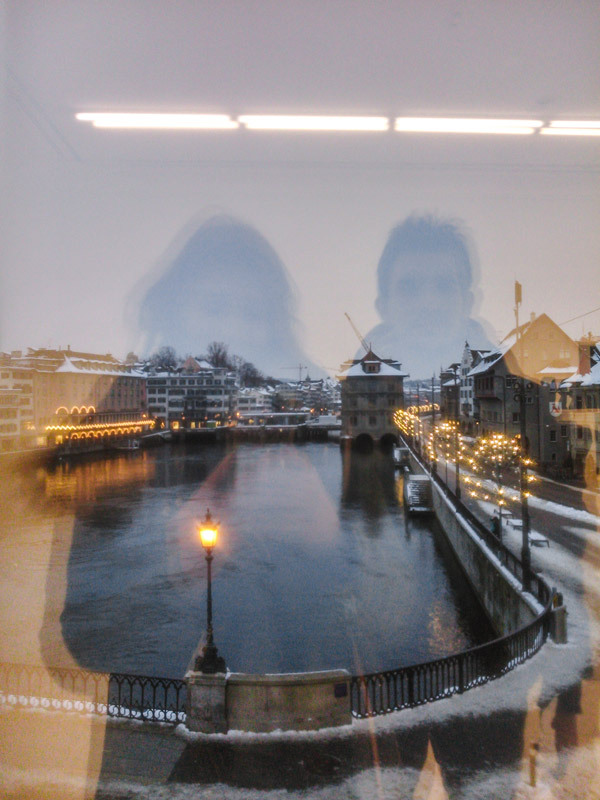 Zurich was almost empty on the first day of the year, and we too had to hide a bit from the cold (thank you free museum we never got to know the name). 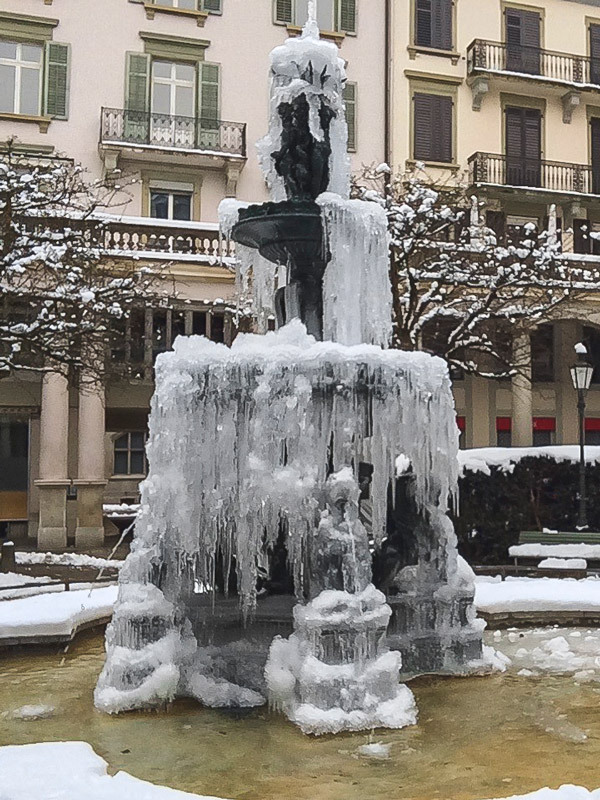 We went to Zurich for the mountain views, but were received by fog and frozen fountains instead. 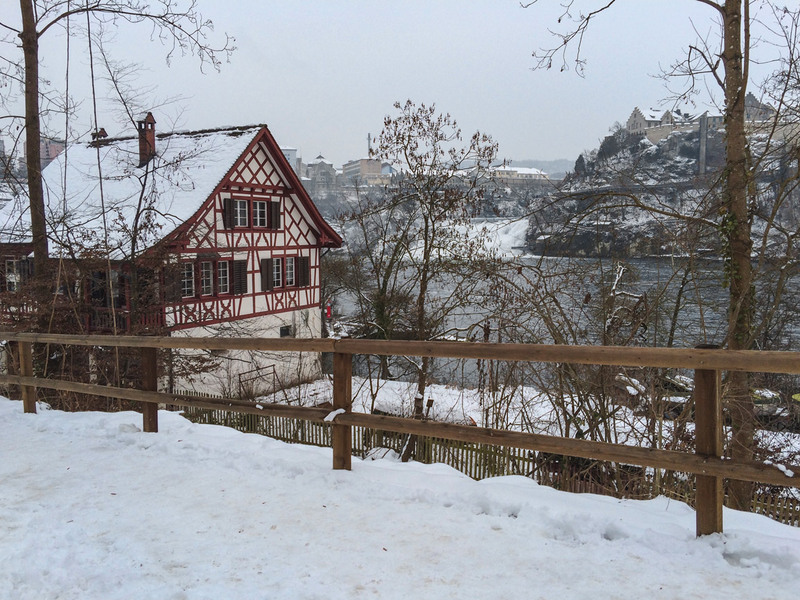 Schaffhausen was our base in Switzerland, but it is worth exploring in itself. 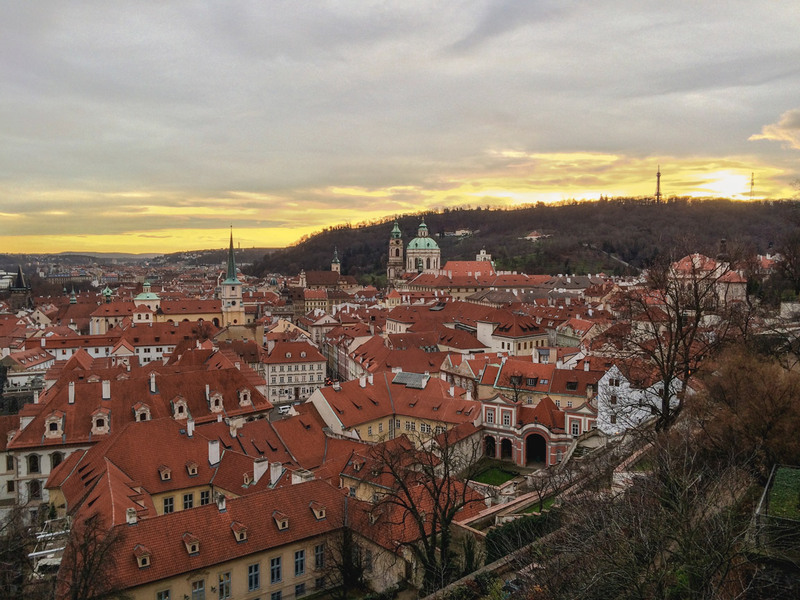 The views from the Castle are breathtaking, and the Old Town itself is worth a couple of hours. We also visited the Rhine Falls, which were formed on the last Ice Age (so around fourteen thousand years ago!). Nature always leaves us speechless. 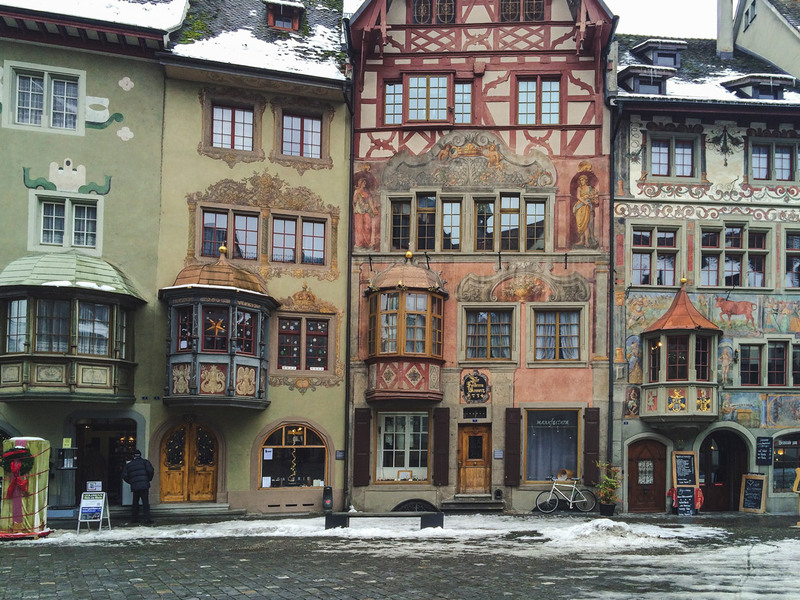 The last city on our Switzerland tour was Stein am Rhein, an enchanting little town. 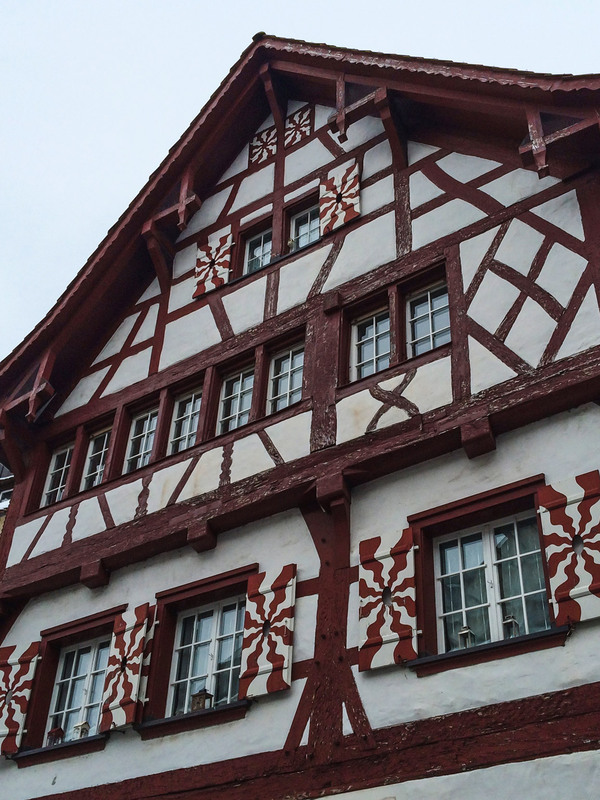 The medieval houses and paintings seem directly out of a perfect work of art. 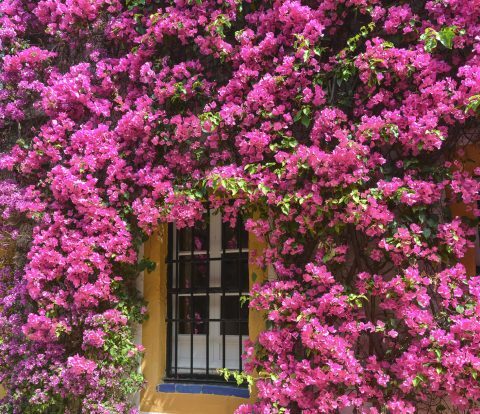 Even though the city is small, it definitely should be on your itinerary. On our way back to Germany we stopped in Konstanz for lunch, but a really terrible rainstorm (the wonders of traveling in the winter) prevented us from any further exploration. Back in Augsburg, we had a really wonderful dinner at König von Flandern. On the last day of our roadtrip we set off to explore Munich. We started with the Nymphenburg Palace. The winter is not the best time to visit, as the statues and fountains are covered due to the cold. Still, we saw enough to be sure that it is a wonderful place to visit. 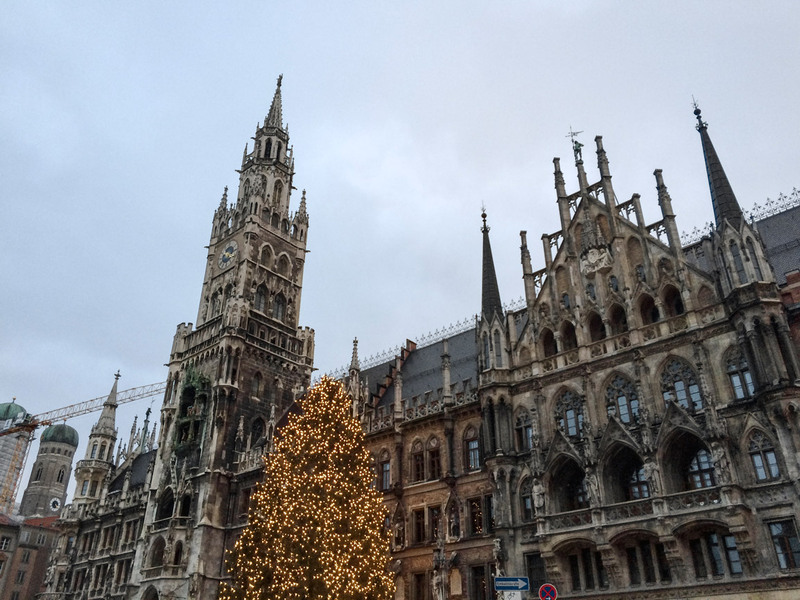 In Munich we sticked to the classic spots, such as the Marienplatz and the Altes Rathaus. 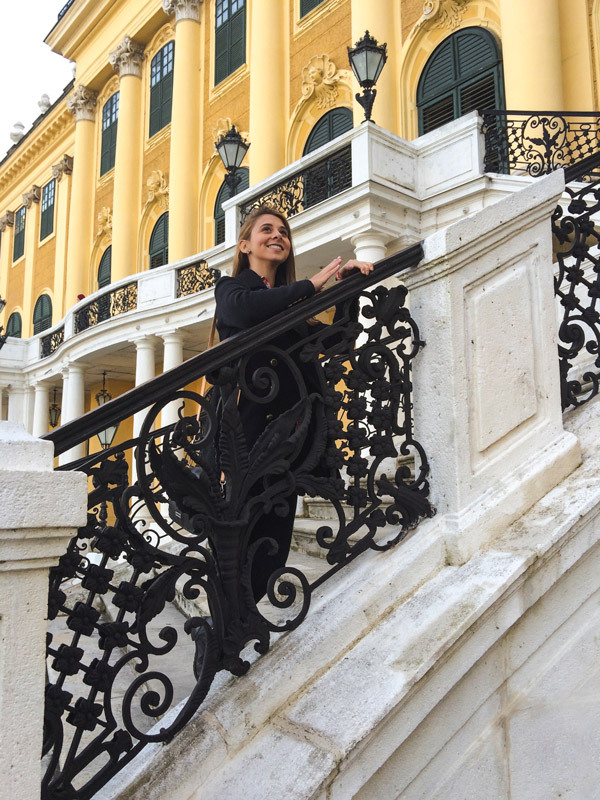 Exploring Central and Eastern Europe was an amazing adventure. We made use of our student discounts for the trains, found the best deals on Polski Bus, and were careful when choosing our accommodation (with exception for Riga!). In the end, all these trips were actually quite affordable and they fueled our wanderlust even more. All this travelling changed us! 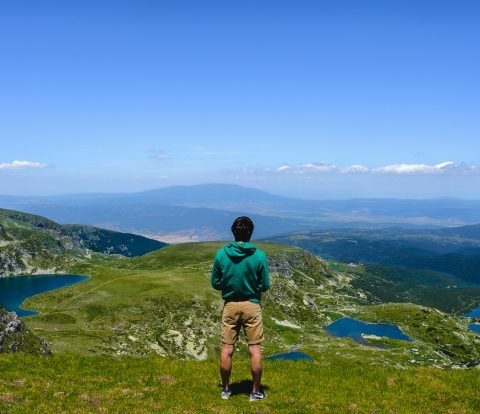 Not only are we now fully able to spend over twelve hours on a bus (though it’s still not a pleasurable experience), we really want to explore and learn about the world, specially the more off the beaten places that you don’t often see on the cover of travel magazines (or on Instagram!). A bit of a disclaimer: These photos are quite old and taken before we had the right equipment and knowledge to take better photos. We’re not entirely proud of them. However, we think that it is important to illustrate our text and experiences, even if with grainy photos. 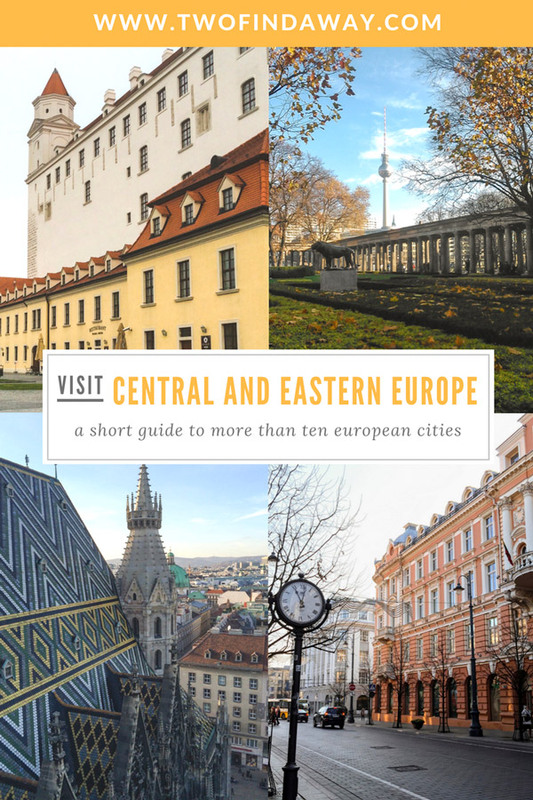 Have you explored Central and Eastern Europe? Let us know what you think! Pin this post for later! And share it with your friends!